WEST ROOKIE!!! 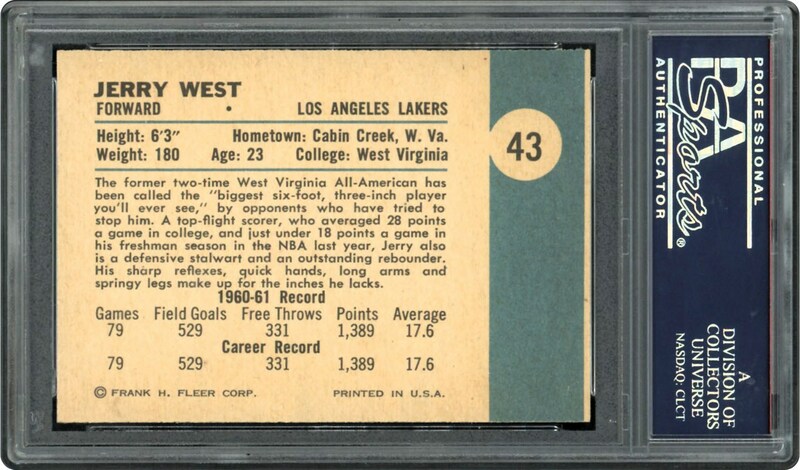 West's NBA career was highly successful. Playing the guard position as a professional, he was voted 12 times into the All-NBA First and Second Teams, was elected into the NBA All-Star Team 14 times, and was chosen as the All-Star MVP in 1972, the same year that he won the only title of his career. West holds the NBA record for the highest points per game average in a playoff series with 46.3. He was also a member of the first five NBA All-Defensive Teams (one second, followed by four firsts), which were introduced when he was 32 years old. Having played in nine NBA Finals, he is also the only player in NBA history to be named Finals MVP despite being on the losing team (1969). West was inducted into the Naismith Basketball Hall of Fame in 1980 and voted as one of the 50 Greatest Players in NBA history in 1996. 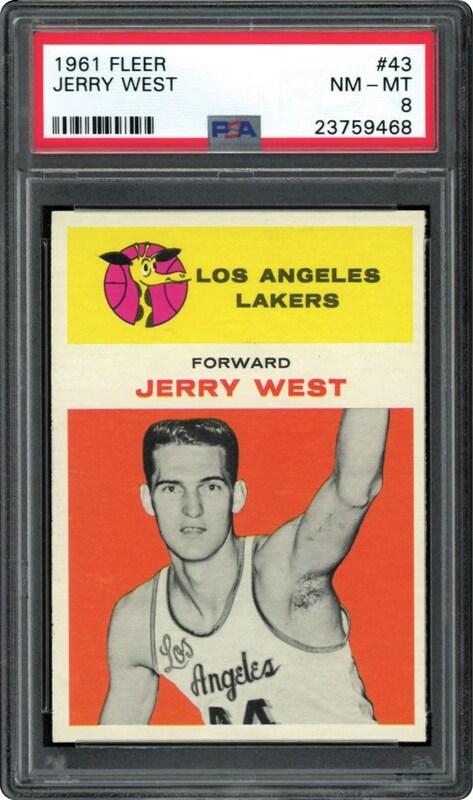 Offered here is Jerry West on his Rookie card from 1961 issued by Fleer. Offered in a blazing PSA 8 NM-MT holder, this one looks PACK FRESH.